Delicious Solitude (1909). 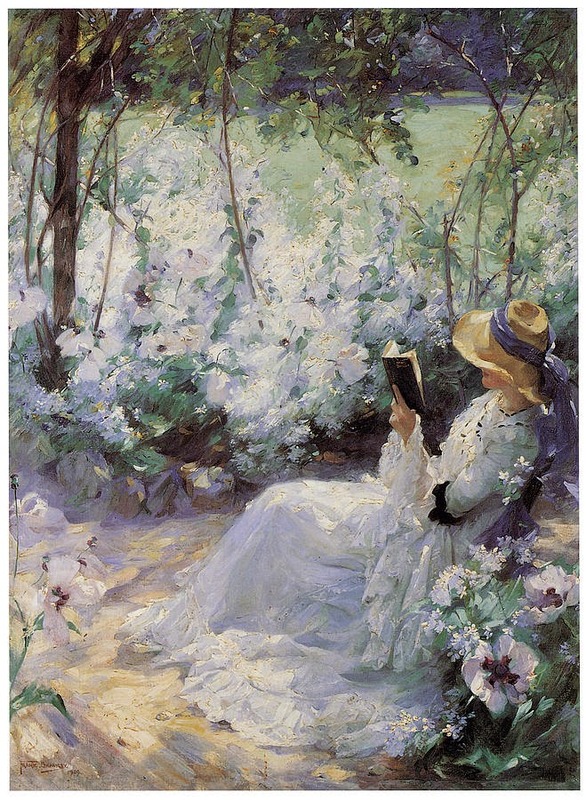 Frank Bramley (British, 1857–1915). Oil on canvas. 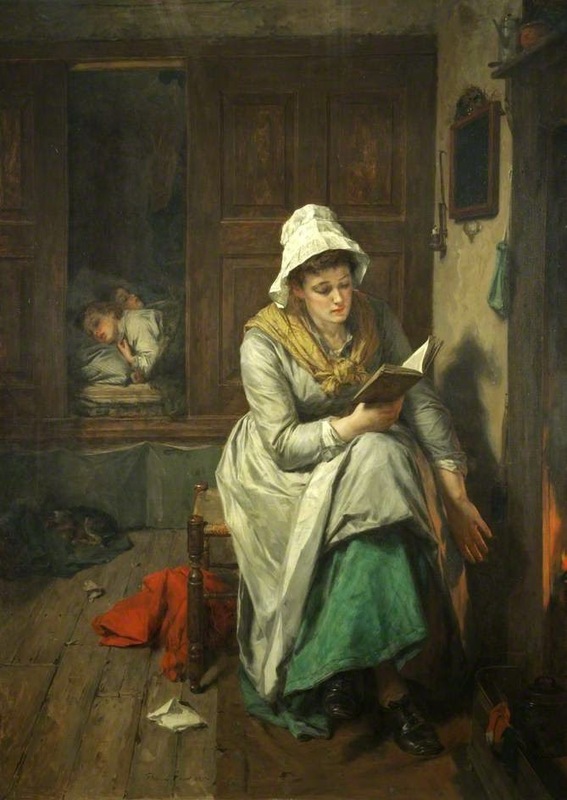 Here, a lady absorbed in reading is likely the painter’s wife Katherine. When Children Are Asleep (1885). Thomas Faed (Scottish, 1826-1900). Oil on canvas. National Museums Liverpool, Walker Art Gallery.